Pangong Tso, the mysterious name, I am sure, if one lives in North India, may not be a stranger. The mysterious name is of a trans-border Lake of Himalayas. It should be familiar with the Dogra households who are from the military background. Chances are many have seen this enchanting mini-ocean; more may see it and some may not in their life time. But those who have seen Rajkumar Hirani’s blockbuster ‘3 Idiots’, will remember Pangong Tso in the scene in which Kareena Kapoor is riding a scooter and meets Amir Khan. This scene is of Pangong lake of Ladakh at a place called Lukung. After this the lake has become a star attraction. Therefore those who have seen the movie have not missed serenity and scenic beauty of picturesque Lake and noted its most notable feature ie its changing colour, shade and texture every now and then. (I saw it in July 1971 first time and my sons saw it in 2001). For those who have not seen the lake or 3 Idiots, may connect with the mystic and enchanting water body lying in the lap of Himalayas in J&K through this narrative. After reading it, if you are young and adventurist, chances are that you will mark it as dream destination that you will like to visit with your dream Kareena / Amir Khan once in life. 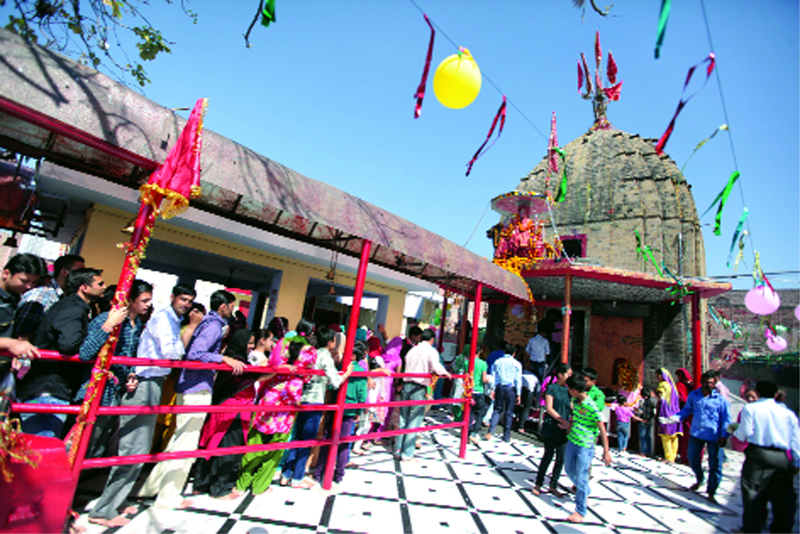 The dream destination is open to tourists in summers from May to September. Locals call it ‘Lukung Lake’. 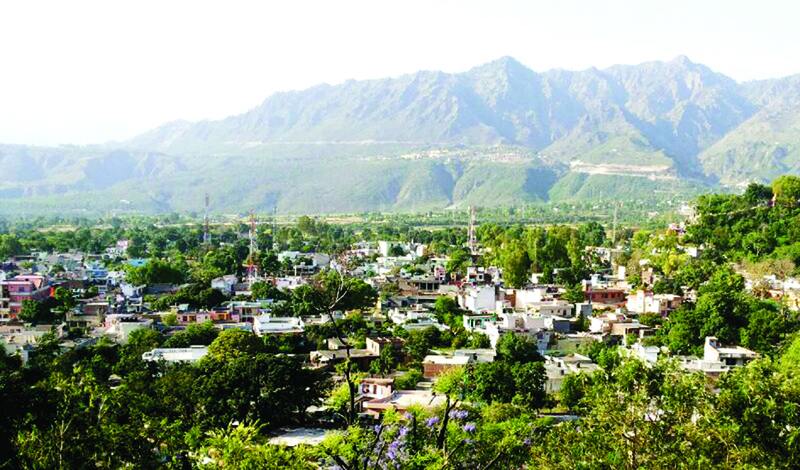 Colourful View with Tourist Spot and Gen Zorawar Singh Wall on the Left Ridge. Word Pangong Tso is derived from Tibetan word ‘Bangong Cuo’ meaning a long, narrow, deep and enchanting Lake. 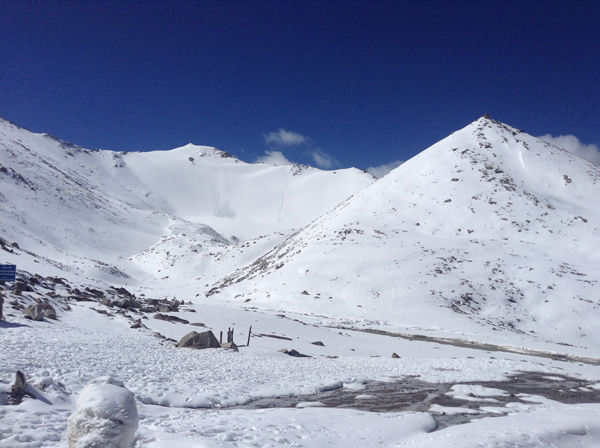 It is situated 54 kms South-east of Leh at an altitude of 14,270 ft (4,350 m). It is 135 kms long and 5 kms wide at the broadest point covering total area of 604 sq kms. Pangong Tso is a land locked lake. 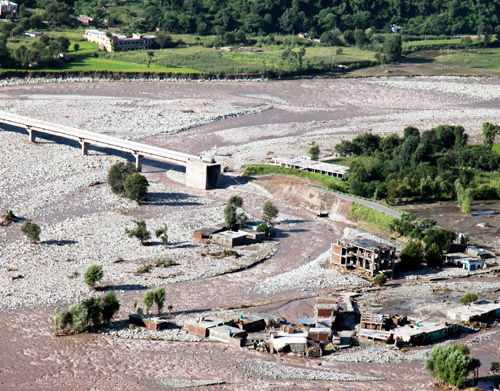 Earlier it had an outlet to Shyok River, a tributary of Indus which got blocked due to a natural blockade. It is largest salt water lake of Asia. The bitter winds blowing over the brackish water render it as coldest lake and areas around it as coldest in the world. During the winters, the lake freezes completely and provides ideal grounds for Ice Skating, Polo and Ice Hockey. Gen Zorawar Singh, legendary Dogra warrior, is said to have trained his soldiers and horses on the frozen lake before Tibet invasion and played polo on the frozen surface. Today 1/3rd lake is in India, remaining 2/3rd is in Tibet. Majority of streams which fill the lake fall on the Tibetan side. 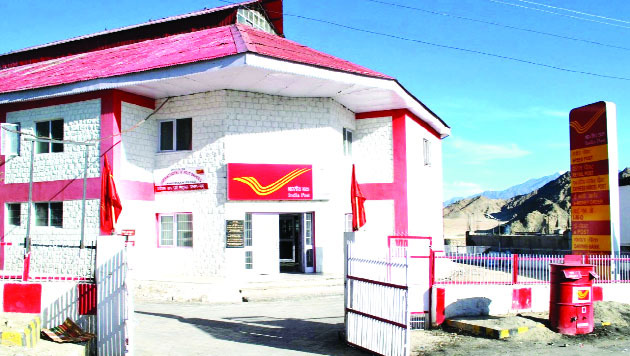 It is approximately 5 hours drive from Leh, the capital township of Ladakh. There are two entry points to the Lake. One is at Lukung and the other is at Chusul. (Chusul is otherwise also famous as 1962 Indo-China battlefield). Lukung is Indian side end of the Lake whereas Chusul is the LAC side of Pangong. Route from Leh to Lake passes over 5289 m height Chang La (Changla pass), third highest motorable mountain pass in the world where every passer by is greeted with hot cup of tea and pakoras by the army camp. 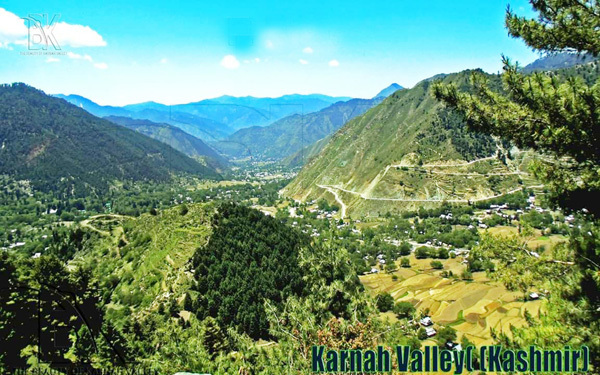 From Changla pass, road winds down to Tangste village / military cantonment, (I joined my unit at Tangste in June 1971), located on the banks of a river called Pagal Naala’ (crazy stream). From Tangste one goes to the lake tourist spot at Lukung either via Darbuk or via Chusul. To reach Lukung from Chusul side one skirts the LAC at Chusul, confronts Chinese and entire 45 kms of lake that is Indian. This route makes the journey exciting. Lake fully freezes during the winters and being saline, does not have any aquatic life or vegetation except few small water creatures. However one sees variety of migratory birds like Brahmani Ducks, Black Necked Cranes and sea and water birds for whom it acts as a fertile breeding ground. (shall also narrate my encounter with a black neck crane in the lake). The lake, the sunrise and the sun set scenes are photographers delight which attracts them to the lake again and again. For them and visitors stay, an adventure camp exists at Lukung. The marshes on its shore have grass and species of scrub. Perennial herbs grow abundantly which provides grazing ground to the local livestock and support wild life including Marmot and Kiang. During the summer, the bare headed goose and Brahmini ducks are seen in abundance. 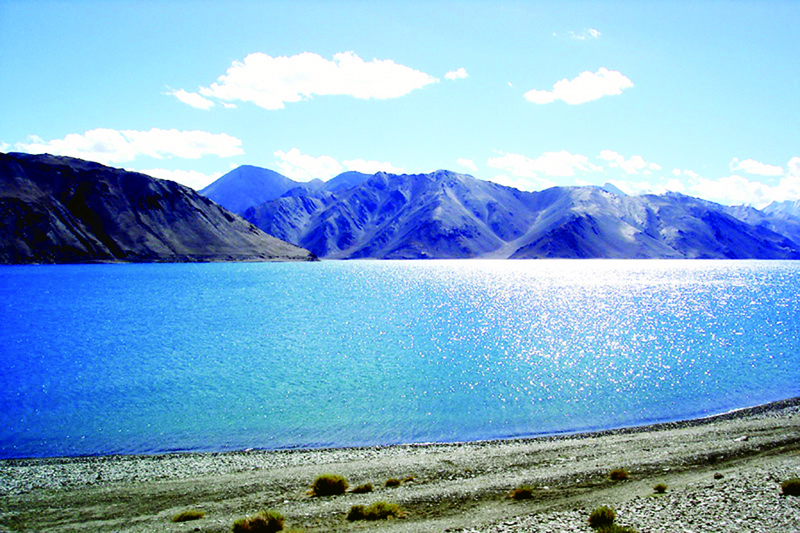 Strategically Pangong Tso is an important water body which lies on the Sino-Indian actual line of control (ALC). Due to its proximity to the ALC, tourists were not allowed there till 1999. But today it is a different story altogether. After Amir Khan showed world what a heavenly lake is, hordes of tourists with their colourful caravans, tents and vehicles flock ashore the lake over 7 kms stretch from Lukung to Spangmik. 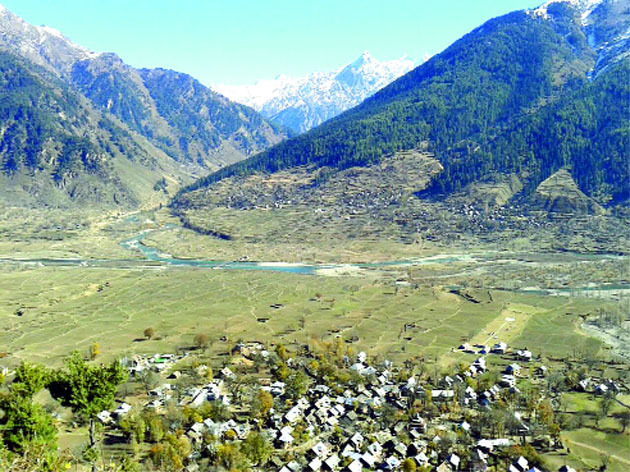 Tourists are allowed to visit only upto village Spangmik after obtaining ‘inner line permit’ from D C Leh office. Bollywood film makers have captured the beautiful landscape of Ladakh in several Hindi pictures. Before 3 Idiots, 1962 war movie ‘Haqeeqat’, war movie ‘Lakshya’ and Rakesh Mehra’s ‘Bhag Milkha Bhag’ were shot in Nubra valley Ladakh. Boating is allowed in the lake. On 20th October 1962, Chinese attacked Ladakh sector. Pangong Tso also saw military action where Maj Dhan Singh Thapa of Gorkha Regt and Maj Shaitan Singh of Kumaon Regt got Param Vir Chakras fighting in Chusul Sector. Maj Thapa’s company fought for the defence of Chusul Airfield to the last man last round on 20th Oct. He was captured and taken prisoner. Maj Shaitan Singh’s company defended Razangla till 18 November 1962 and fought last man to last round. Only two or three men lived to tell the heroic tales of the fallen heroes. Even now it is one of the border flash point between India and China. The area under contention is a 5 km stretch of the Lake which both sides lay claim to. In 1999, army unit from Lukung was moved to Kargil for ‘Op Vijay’. Taking advantage of Kargil Conflict and thinning out of troops, Chinese built a 5 km road into the Indian territory along the Lake shore. That road is presently patrolled by both sides to mark their presence but they do avoid physical contact on the disputed track. Both sides also carry out boat patrolling inside the lake. Indians cover 45 kms while the Chinese patrol 90 kms with an understanding that if boats from both sides come face to face they raise the flags and say Hindi-Chini bhai bhai and return. China is keeping a strong Army and Naval force on the LAC on the lake. Chinese have nearly 25 patrol boats with a capacity of carrying five to ten soldiers. India too has patrol boats operated by Army Engineers though lesser in number but larger in size, able to carry 21 soldiers. Numerical superiority is in favour of China but the chances of conflict are very rare on the lake. Still the Indian soldiers have to remain vigilant and alert because during the conflict, the lake will provide China a faster induction route for a larger force. Until the border dispute is resolved, India will have to increase its Army and Naval strength on the lake. My encounter with Pangong Tso was in July 1971. I was sent on a ‘long range patrol’ (LRP) to Ane la, a mountain pass on the LAC to observe and report Chinese build up across the LAC at a place called Rima which was their Regimental (brigade) location. We camped short of Ane la on the lake shore. One day, a flock of Black Neck Cranes came swimming near our camp. I shot one of them. Prompted by my Helper Sep Jassai Manji to get the prey, I dived in the ice-blue water but feeling frozen, I took a U turn to come out. When looked up, saw jawans jeering. For self respect and their taunt, I ventured back. When neared, the wounded bird (beast) pounced at me. Somehow I could catch it from the neck and lug it ashore. The very thought of what I went through in those 5 to 7 minutes scares even today. Having lived, I thought of writing story of this adventure as “Me and the Beast in Pangong Tso” but 1971 War and subsequent exigencies of service came in the way. But I continued my tryst with my enchanting lake. Last I visited the lake was in May 2000 and look forward to one more encounter with this enchanting beauty in the remaining years of life. Hope other adventurists and nature lovers enjoy a date with her.